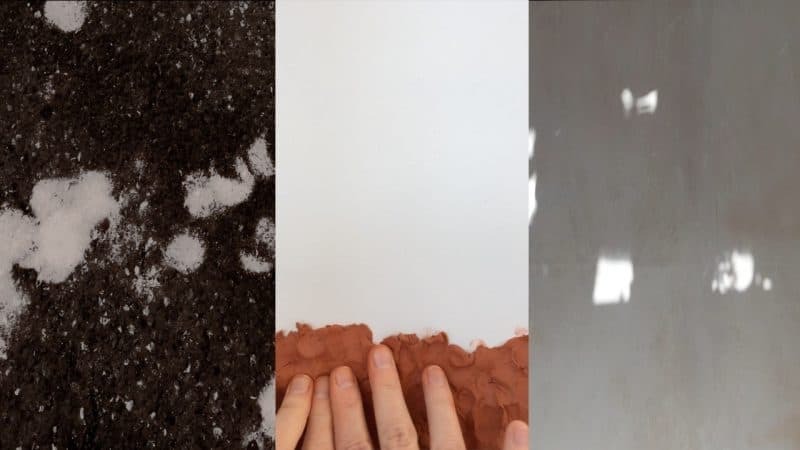 Decay, the metamorphosing musical project conceived by Claudia Molitor, will visit IKLECTIK Art Lab on Sunday 24 February for its second performance. Premiered at hcmf// 2018, Decay is a musical project that reflects back life by existing as a constant work-in-progress. Unfinished, each performance connects with the last to provide a meditation on the slow-releasing transformations that exist in all cases of life. Decay will continue to change shape as it tours festivals and venues throughout 2019, before making a return to Huddersfield for its final performance at hcmf// 2019. While Decay was conceived by Molitor, it involves a rotating cast of characters. Each performance of Decay involves a different guest artist who will, in their way, become an “author” of the piece, altering its course and leaving a mark on its timeline. The project’s inaugural guest was sound artist Kelly Jayne Jones, who complemented Molitor’s piano and Tullis Rennie’s trombone by experimenting with records on a turntable. The piece’s second iteration will swiftly abandon this setup, recruiting improvising saxophonist John Butcher alongside violinist Alison Blunt. Molitor describes this process as “generative”, inviting different artistic voices to “change and challenge any sense of authoritative iteration”. It’s not only the mechanics of the piece that change – along with instrumentation and musical structure, the philosophy of Decay is in flux, Molitor inviting artists to respond, in their own way, to the process her piece describes. Molitor notes the ubiquitous nature of her theme – because decay is a fact of existence, it is something we “are troubled by and drawn to in equal measures”. As such, the piece draws on individual experiences, to the personal existentialism of each artist contributing to it. Decay is true to itself. Molitor’s hope for the work to “embrace the melancholy of loss, and rejoice in the promise of change” is reflected in the process of composition itself, the idea that all elements of the piece gradually shift, and disappear entirely. It is rare that music pieces retain their name while becoming entirely different, but it is also in this way that Decay becomes reflective of life itself – of the ways that a person becomes as different as they are the same. Molitor notes that art is constantly “capturing a moment, freezing it in time, preventing it from changing”, but Decay is the opposite: it is a living thing, that will eventually transform into non-existence. IKLECTIK presents Decay on Sunday 24 February. Click here for information and tickets.